Should You Shake or Stir Drinks? Blenders are one of the essential bar tools necessary for a well-rounded bar, especially if you enjoy a frozen margarita or daiquiri in the summer. If you have ever shopped around for a blender, you know that there are hundreds to choose from and finding the right one can be a difficult task. The tips below should help you decipher some of the options and what will work best for your style. If possible, I recommend going with a commercial-grade blender because they will last longer and give you more consistent results when making your favorite frozen cocktails. With blenders, size does matter. You will want to make sure that the blender you choose is large enough to handle multiple drinks at your average party. A 27 ounce blender is the smallest that I would recommend, although it will only make about two drinks. Going with something a little larger may be a good choice. Usually, you will find a blender in the 48-ounce range will fit all of your needs for a long time. Again, it all depends on the number of drinks you want to make and what size your glasses are. Margarita glasses can range anywhere from 8 to 20 ounces (unless you're into those jumbo drinks that can reach 60 ounces). Choose a blender with multiple speeds so you can obtain the best results. A pulse option is almost necessary to sufficiently chop hard ice. When blending, you will want to start with cracked or crushed ice and begin on a low speed, then slowly move up to a fast whirl. The more speed options available, the more control you have over the drink's consistency. The motor of a blender is the most important part of the machine. Look at the watts of the blender you are thinking of buying; the average is 300-600 watts but some get up to 1,000 or more. You will pay more for a stronger motor but it is important to weigh that price against the usage. If cocktails are your main goal, 500-watt and higher blenders will be the best choices because ice is one of the hardest substances a blender is designed to mix. Underestimating your blender's motor to save a few bucks may leave you in the middle of a great cocktail with a burnt-out machine that is now a paperweight. Be honest. How many times have you been hosting a party and "forgot" about cleaning out the blender? You wake up the next morning with chunks of strawberries glued to the inside of the pitcher and around those sharp blades. It's a mess and it happens all the time. If the blender's blades are not removable, it takes a lot of effort (and numerous cuts on the hand) to properly clean the pitcher. Look for a blender which gives you the ability to take all of the pieces apart, even the blades. There are also models that have self-cleaning blades and these are very convenient. Most of the time, you can also get away with filling the pitcher with hot water and allowing it to soak for an hour or two. Safe and clean blending is dependent on two factors: a tight seal and a good grip on the counter. The seal is wholly dependent on the lid, and just like a good cocktail shaker, you want to ensure that your blender has a nice tight seal to avoid any mishaps and messes. At a high speed, this can become significant. Likewise, the grip that the feet of the blender have on a counter top can save or break the drink experience. Look for a blender with rubber grip feet as these will help prevent the unit from tipping while the motor's going. 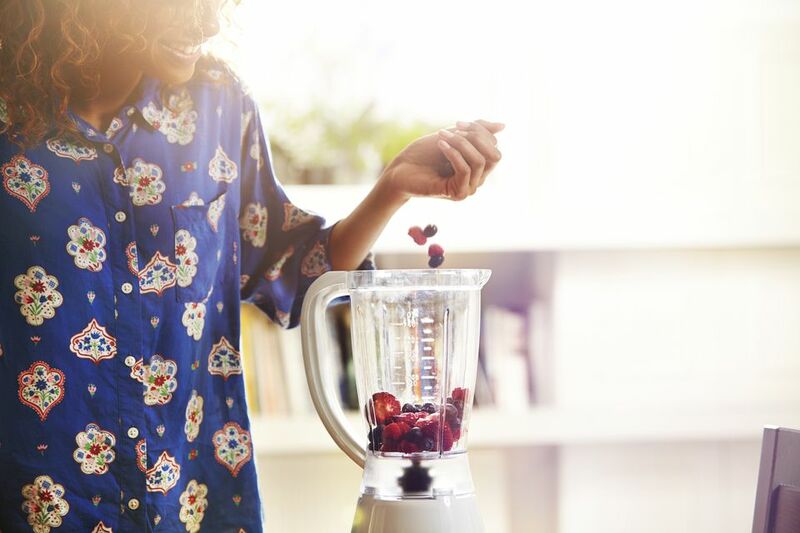 Most modern blenders are pretty stylish in their designs, but looks aren't everything when it comes to choosing a blender. The materials from which the pitcher and blades are constructed are far more important. For the pitcher, choose glass or stainless steel options over plastic. Plastic can easily be stained or scratched and even trap smells. The blades are just as important. Choose stainless steel so the blades are tough enough to handle the rigors of chopping ice. You may want to consider a frozen drink machine over a standard blender. The advantage of these machines is that they usually produce consistent, beautifully smooth frozen drinks. Often, they have more insulation in the pitcher or dispenser to keep the finished drinks colder as well. Frozen drink machines, like the Margarators, tend to have higher capacities than the average blender, sometimes holding 120 ounces or more. Some models can hold multiple pitchers so you can make a variety of drinks for your guests to choose from. If your main purpose of a blender is to make cocktails (and lots of them) this may be a good option. Help! My Cocktail Recipe Is Measured in "Parts?" What Should You Stock in Your Home Bar? 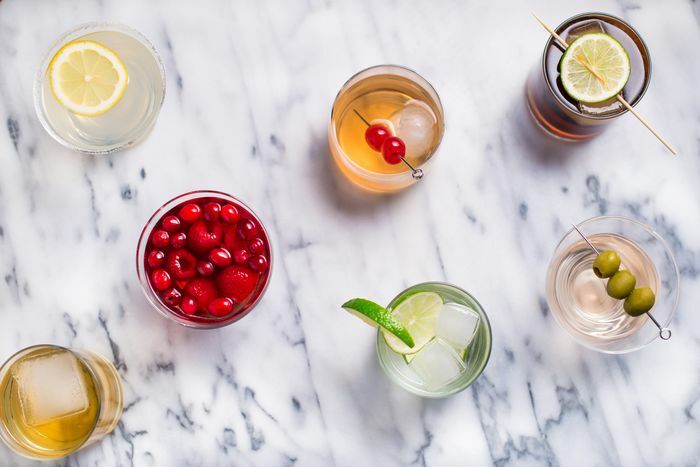 Should You Shake or Stir Your Cocktails?